The PLP is aggressively pursuing avenues to take advantage of the burgeoning blockchain market. 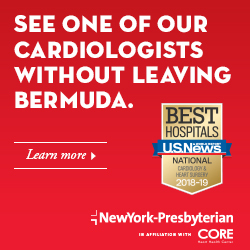 What is it, and what does it mean for Bermuda? You’ve probably heard of blockchain as the underpinning force behind bitcoin, but potential uses for the technology extend far beyond digital currencies. With avid proponents like Bill Gates and Richard Branson, blockchain technology represents the future in industries across the board, and the world is scrambling to figure out how best it can be used. So why is everyone from Wall Street to Silicon Valley and beyond so very excited? As it stands today, consumers are required to use a trustworthy middleman (i.e., banks) for economic transactions. Blockchains remove the need for that middleman by allowing us to connect directly across a network of computers. These exchanges are kept secure using cryptography on a decentralised database, a “digital ledger,” where transactions can be viewed by everyone. This network is essentially a chain of computers that must all approve an exchange before it can be verified and recorded. Once a transaction has been recorded, it is extremely difficult to change. In the case of bitcoin, blockchain stores the details of every transaction of the digital currency, and the technology stops the same bitcoin being spent more than once. What makes blockchain technology so revolutionary is that it can work for almost any type of transaction—money, groceries, property, tax collection, you name it. The potential uses are almost limitless, and since every transaction is distributed on a public ledger, the ability to commit fraud is drastically reduced. Should its usage spread, anyone with an internet connection will be able to make a transaction. Today around $20 billion of the global GDP is held in blockchain, according to a survey by the World Economic Forum’s Global Agenda Council. That’s around 0.025 percent. But with banks, insurers and tech firms rapidly taking up the technology in order to speed up settlements and cut costs, that percentage is expected to rise significantly in the next decade. The Bank of Canada, UBS, Microsoft, IBM, and PricewaterhouseCoopers are all currently racing to adapt to the technology. A report from financial technology consultant Aite estimated that banks spent $75 million last year on blockchain. And Silicon Valley venture capitalists are also queuing up to back it. The blockchain market could be worth $1 trillion this year alone, according to some estimates, and Bermuda is jockeying to gain a share of that pie by attracting FinTech companies to our shores and developing regulatory framework for their operations. FinTech is short for financial technology. They are companies that use new technology like blockchain to carve out cutting-edge finance services for businesses and consumers. FinTech companies can be anything from insurance, asset management, personal finance, payment services and more. These start-ups are competing on the same ground with traditional banks and other financial institutions by leveraging technology to gain an upper hand. As of right now FinTech companies have taken up residence in dozens of countries around the world and are slowly eating into the market share previously owned by the older, major competitors in the financial service industry, offering products in lending, personal finance, retail and institutional investments, equity financing, consumer banking, and others. In today’s digital age, and with significant demographic shifts in the population, people are seeking easy access, convenience, efficiency and speed. People want to conduct transactions via mobile technology platforms and applications, and such activities include managing their financial lives, whether that is tracking their overall spending, applying for a loan or optimising their investment strategies. Many people prefer to use online apps or sites for finances. On average, between one and three apps are used by people to manage their financial lives. 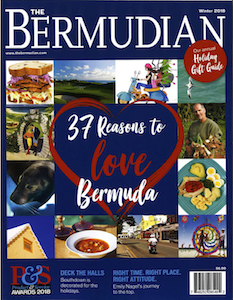 How does Bermuda fit in? 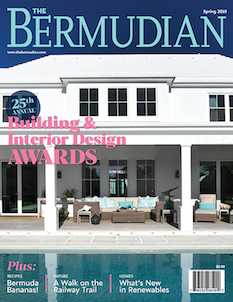 As mentioned, Bermuda is positioning itself to gain a share of the blockchain market—an industry that is expected to grow up to $1 trillion in worth by the end of this year. Our role would be similar to the role we play for insurance companies, but for blockchain technology. The PLP has been aggressively working to lure these FinTech companies to our shores since late 2017. In November that year, the PLP established a blockchain task force to help pursue this goal. Most recently, that courtship has taken shape in the form of memorandum of understanding signings and new regulatory legislation such as the Initial Coin Offering Act and the Digital Asset Business Act 2018. MPs have also approved a new type of banking licence to cater to the burgeoning industry. The new banking licences, put forward as amendments to the Banks and Deposit Companies Act 1999, will allow FinTech companies the ability to establish Bermudian bank accounts and better participate in the local economy. “Despite the robust regulations put in place,” Premier Burt told the House of Assembly, “To date our four local banks have been unwilling to offer services to newly incorporated FinTech and distributed ledger technology companies. Many companies, however, are yet to be announced. 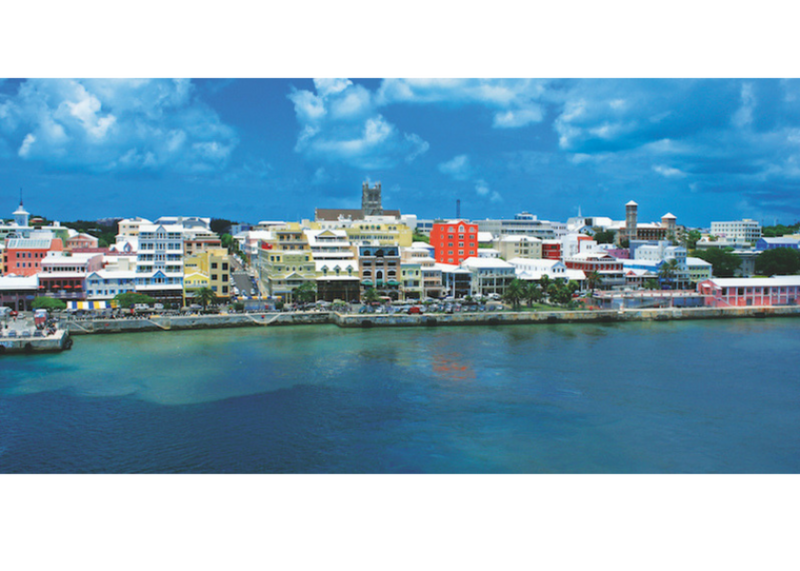 As Bermuda is such a small nation, the lack of bureaucratic red tape is seen by the PLP as a major advantage over larger countries with more restrictive legislation. That view is also shared by other similarly sized territories such as Liechtenstein, Malta, Gibraltar, and San Marino. The goal is to leverage our comparatively nimble governments to establish comprehensive blockchain legislation. Such laws typically take the form of instructions on how initial coin offerings (ICOs) will take place; secondary market controls; investor and consumer protections; and anti-money laundering and counter-terrorist financing measures—crucial necessities due to the anonymous nature of blockchain technology.